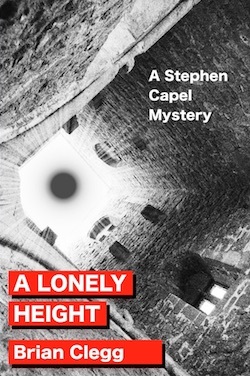 In the first of the Stephen Capel murder mysteries, a vicar starting work in his first parish discovers a drowned body in the ruined tower on Glastonbury Tor. He knelt by the still form and pulled lightly where the shoulder should be. The body, and he was suddenly, awfully, certain that it was a body, rolled over to face him. 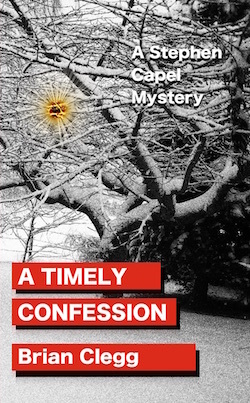 In the second Stephen Capel murder mystery, Capel has to struggle with personal problems while dealing with a confession of murder and an increasingly complex case. He stared at his assailant in blank amazement, looked down to where he had been hit to be even more puzzled by the welling red wound. Everything was fuzzy; all the clarity that had made the day so special was gone. As he fell, unable to speak, his brain still tried to force his lips to ask why? 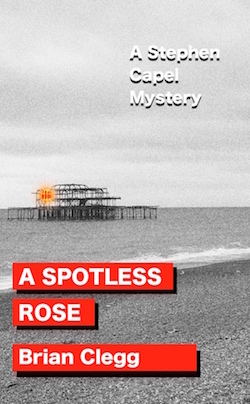 In the third in the Stephen Capel murder mysteries, on a stay in Brighton, Capel and Vicky are plunged into a sequence of murders as a fresh corpse is discovered every day. With Capel a suspect, there is all to fight for. Suddenly his understanding of what he saw flipped, as if he were looking at one of those three-dimensional pictures, and it had finally come into focus. The girl was not floating on her back, enjoying the lazy feeling of the sea’s caress, she was face down. Her face was entirely covered by the water. 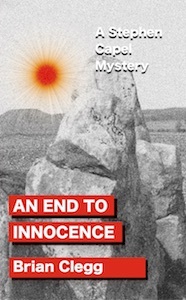 In the fourth in the Stephen Capel murder mysteries, Capel witnesses the death of a lab assistant at Thornton School, which opens up a link to the 20-year-old disappearance of a local girl. When he heard the body slamming into the tarmac, Capel thought that it was a sack of potatoes, thrown across the kitchen yard. 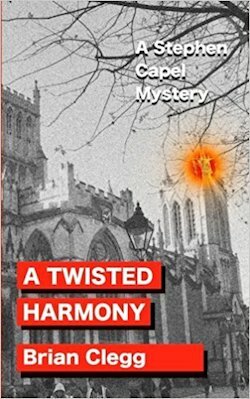 In the fifth Stephen Capel mystery, still new to his parish, vicar Stephen Capel discovers the apparently dead body of his closest friend. In trying to recover it, Capel's girlfriend, Vicky, suffers a head injury. As Capel tries to make sense of what is happening he receives a call, asking if he is dead. His heart felt as if it had stopped in his chest. Vicky was lying on the path, motionless. 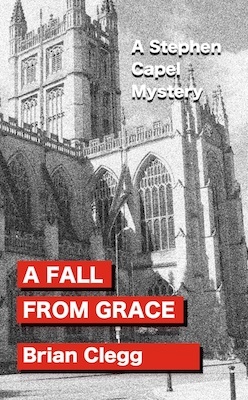 In the sixth Stephen Capel mystery, Capel is asked to act as liaison between Bath Abbey and the police when a body is discovered in the abbey, fallen through the great East window. Stephen Capel and his fiancée, Detective Constable Vicky Denning are drawn into a strange treasure hunt that has deadly consequences. The hot lead gave way on the skin in agonising slow motion and the whole thing started to buckle, then came the plunge into darkness and oblivion. 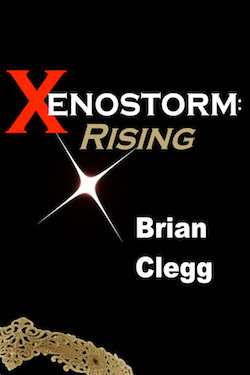 A young adult science fiction novel, exploring the decision of whether or not to make the human race live indefinitely, as a teenager takes on an apparently unstoppable monstrosity. 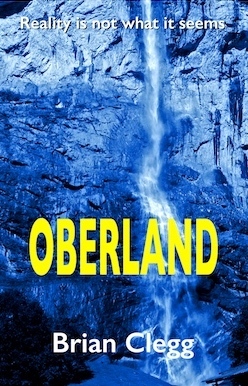 Adult fantasy novel: when Jo Fuller takes a summer job on a campsite in the Swiss alpine valley of Lauterbrunnen, she does not expect her whole understanding of the world to be turned upside down. A camper dies in suspicious circumstances. With three broken individuals - Bob, Paula and Werner - Jo discovers a strange alternative world at the top of the Schilthorn mountain. 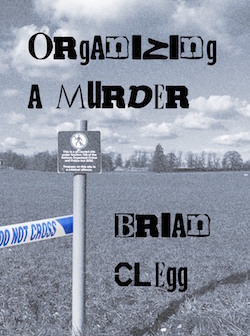 With 12 different mysteries to solve, Organizing a Murder is a whole new approach to mystery parties. As a paperback, you can cut out answer sheets, evidence and clues to use straight away. Alternatively, with the ebook version, these elements can be printed at a moment’s notice. 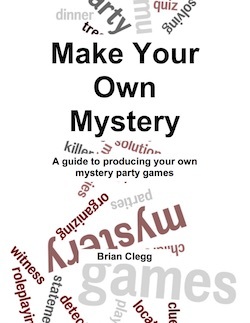 Mystery party games re-imagined, in the best value book of these adventures you'll ever find. A do-it-yourself guide that provides all you need to write your own. Enjoy making your own mystery come alive. An infinite supply of new mystery games. 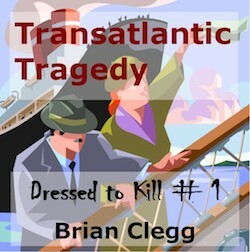 Transatlantic Tragedy is a traditional role-play murder mystery for 8 players (4 female, 4 male characters) and is a relatively simple mystery, ideal for a players who haven't tried this kind of game before, as well as experienced players. The action takes place aboard the luxury liner Olympia on a voyage from England to New York. Can you find the killer before the bomb explodes?